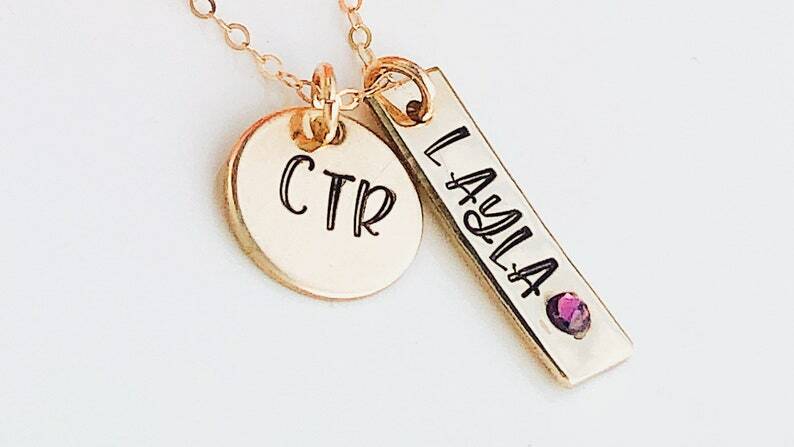 *This necklace features a 3/4" gold filled disc also comes with longer bar with child's name stamped on it with choice of birthstone color. Comes finished with a gold filled 16” chain. THIS BEAUTIFUL NECKLACE WILL COME READY TO GIVE IN A LIGHT PINK SILKY ORGANZA BAG. IF YOU HAVE ANY QUESTIONS OR SPECIAL REQUESTS, PLEASE FEEL FREE TO MESSAGE ME.